COLUMBIA, Mo. – According to recent studies, in colleges and universities up to 60 percent of students drop out or transfer from science, technology, engineering and math (STEM) fields, and more than 50 percent of students pursuing STEM in community colleges never graduate. 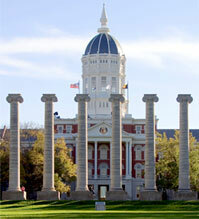 Researchers from the University of Missouri and partner institutions are exploring how ethnic and gender variables affect retention rates, goal setting and satisfaction among engineering students. Preliminary findings in the middle of this five-year study found no differences in retention between Latino and white engineering students, but did show differences between men and women. Their study could help shape methods needed to retain students in engineering fields. Lisa Flores, a professor in the MU College of Education’s Department of Educational, School and Counseling Psychology and Heather K. Hunt, assistant professor of bioengineering in the MU College of Engineering are working with Rachel Navarro at the University of North Dakota on a five-year, National Science Foundation-funded study that examines what cultural, gender, personality and social cognitive factors ultimately lead STEM students to drop out or remain in their programs. The study recently reached the conclusion of its second year and is collecting data from 12 engineering colleges in the U.S. This work builds on an earlier paper published by members of the team that looked at the same idea at a Hispanic-serving institution in the Southwestern U.S. The research, published in the Journal for Vocational Behavior, found no differences in persistence between Latino and white students, but it did find differences between men and women. The new project is meant to expand the data set by including a variety of institutions, allowing for greater comparison and broader viability. Because this is a longitudinal study, the NSF will continue to fund investigators as they apply the social cognitive career theory to the engineering students they currently are tracking at their respective schools, Hunt says. Collaborators on the study include John-Paul Legarski, assistant professor of clinical child psychology at the University of North Dakota, Hang-Shim Lee, assistant professor of counseling psychology at Oklahoma State University, and Patton Garriott, assistant professor of counseling psychology at the University of Denver. The project team recently gave a presentation, “Envisioning a Future with Higher Representation of Latina/os and Women in Engineering” at the 2016 AAAS NSF Conference. Their work, “Collaborative Research: Broadening Participation in Engineering among Women and Latina/os: A Longitudinal, Multi-Site Study” is funded by the NSF (Grant: 1430614/1430640). The content is solely the responsibility of the authors and does not necessarily represent the official views of the funding agency.